Obituary for Robert D. Rockar | Fox Funeral Home, Inc.
Robert D. Rockar, 84, of Saxonburg passed away on April 13, 2019 at the The Orchards of Saxonburg. Born August 28, 1934 in Glassmere, PA, he was the son of Andrew Rockar and Helen Burin Rockar. 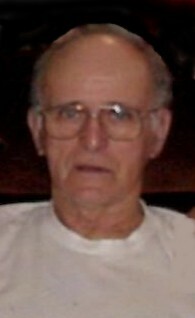 Bob served in the Army National Guard from 1956-1962. He was a lifelong mechanic and farmer. Having worked Jack's Ford, Butler County Ford and Stan's Lawn and Garden and on the family farm. He was a member of the Western PA Truck and Tractor Pullers, The Butler Farm Show and the Saxonburg Memorial Presbyterian Church. He was actively involved in truck and tractor pulls for many years. Surviving are his son, Dean (Penny) Rockar of Saxonburg, his daughter, Bobbi (Don) Rodgers of Butler, his grandchildren, Travis Tolar, Shane (Nadine) Rodgers, Jacob (Melinda) Rodgers, Andrew Rockar and Pernell Rockar, great grandchildren, Noah and Peyton Houck, Cora Rodgers. He is preceded in death by his parents, his wife, Betty Ann (Christy) Rockar, 2 brothers, Paul Rockar and John Rockar. Friends will be received from Tuesday, April 16, 2019, from 2-4 & 6-7:30 pm at Fox Funeral Home, Inc., Saxonburg, PA.
Funeral services will follow at 7:30 pm at the funeral home with Rev. Chris Marshall officiating. Private burial will be in Saxonburg Memorial Church Cemetery. Memorial donations may be made to the American Diabetes Association.